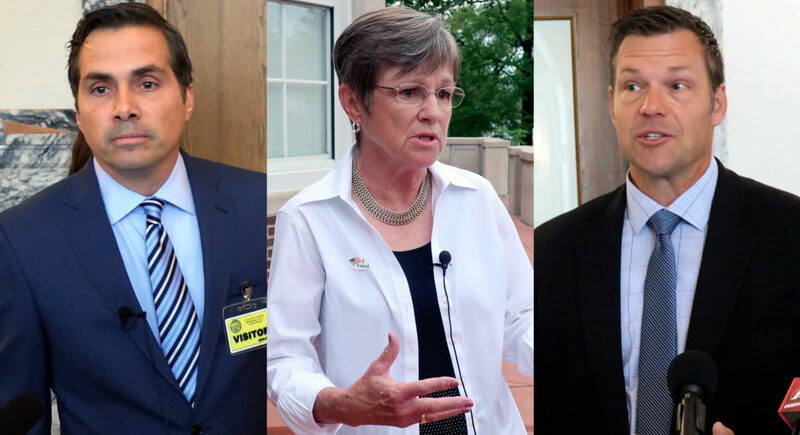 From left, Kansas governor candidates Greg Orman, Laura Kelly and Kris Kobach are pictured in file photos from August 2018. 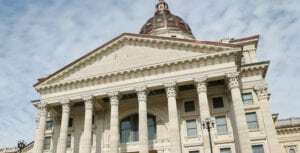 Independent candidate Greg Orman’s campaign treasurer resigned Tuesday and endorsed Democrat Laura Kelly in the race for Kansas governor, according to the Kelly campaign. 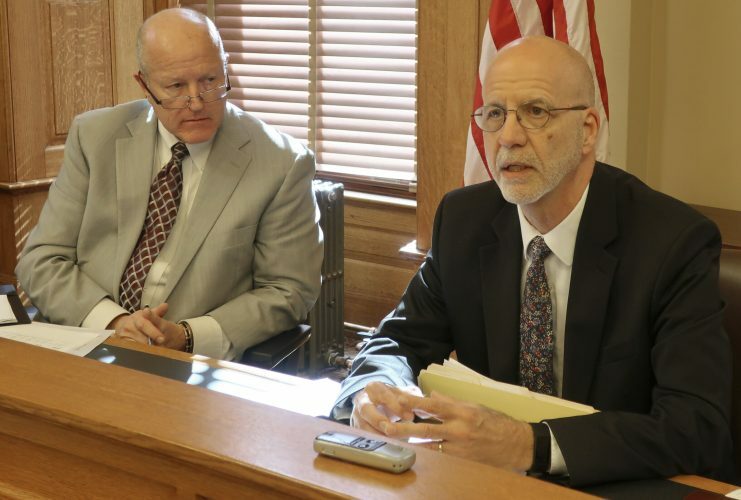 Tim Owens, a former Republican state senator from Overland Park, announced his departure in a news release issued by the Kelly campaign around 2:30 p.m.
“Effective today, I have resigned my position as treasurer for the Orman for Kansas campaign. 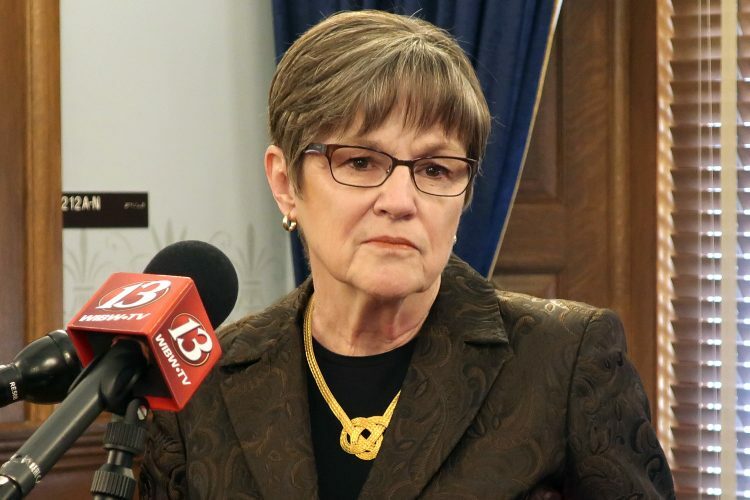 It is time to unite behind Senator Laura Kelly and stop Kris Kobach,” Owens stated in the release, referring to the Republican candidate. 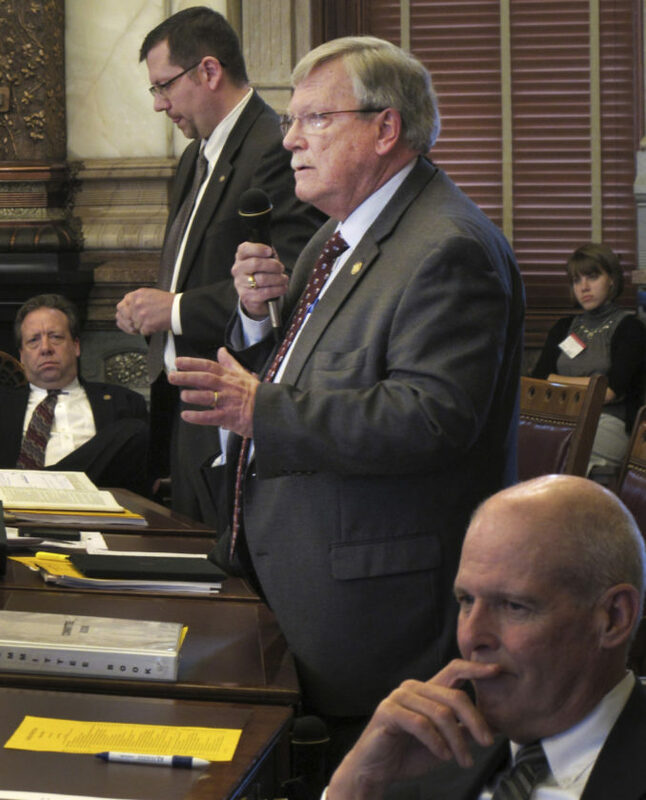 In this Feb. 23, 2012 file photo, then-Sen. Tim Owens, standing to the right, an Overland Park Republican, debates Sen. Terry Bruce, standing to the left, a Hutchinson Republican, at the Statehouse in Topeka. Kelly and Kobach have been locked in a virtual tie, according to recent polling, while Orman has been polling at around 10 percent. Many Democrats have viewed Orman as a potential spoiler in the race because he appeals to the same group of moderate Republican and unaffiliated voters that Kelly needs to win the race. Owens said he had to put Kansas first. Orman issued a statement saying he accepted Owens’ resignation but that he is not bowing out of the race. The announcement came just hours before the three major candidates were scheduled to appear in their final debate of the campaign, a live event hosted by KSNW-TV in Wichita. It also comes exactly one week before Election Day. 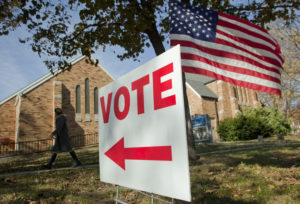 However, as of 8 a.m. Tuesday, 196,608 voters had already cast their ballots, either in person or by mail, according to the Kansas secretary of state’s office. 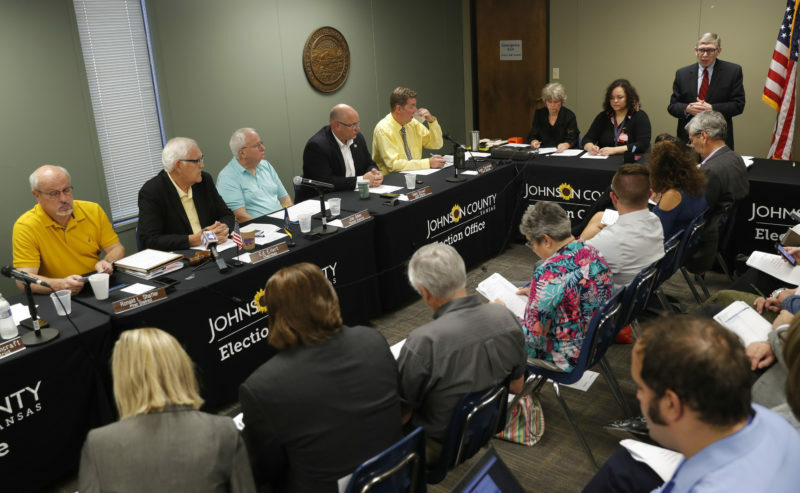 Emporia State University political science professor Michael Smith, however, said Owens’ decision could qualify as a game-changer in the election.